I put this outfit together over the weekend, but did not have a chance to wear it until today. Finally, it warmed up here and we got some sun! 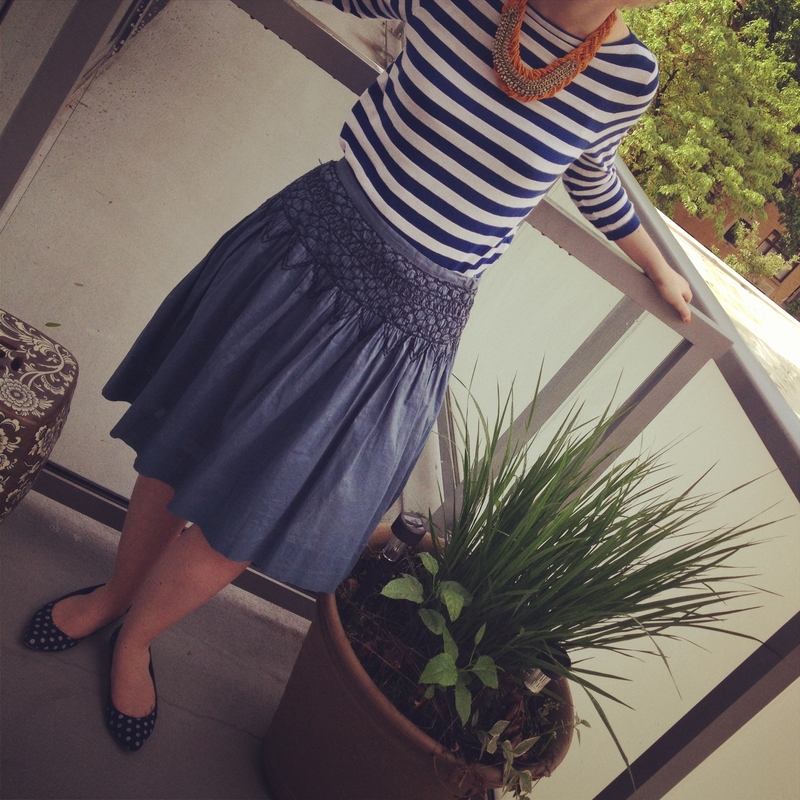 A few weeks ago, I found this skirt when I went consignment shopping. Interestingly, I saw it was still selling online at other retailers for $158. Consignment price? $7. As my mother would say, you cannot beat that price with a stick. The skirt is by BCBG Max Azria and has beautiful embroidery along the top. I paired it with a striped summer sweater from Ann Taylor, blue polka dot shoes from Gap, and a yellow necklace from Charming Charlie’s. It’s a monochromatic pattern mash-up! And really, who doesn’t love a good mash-up? 1) Monochromatic is very popular right now. If you like the look, try it for yourself! I added patterns, but kept the skirt, top and shoes blue to keep everything coherent. 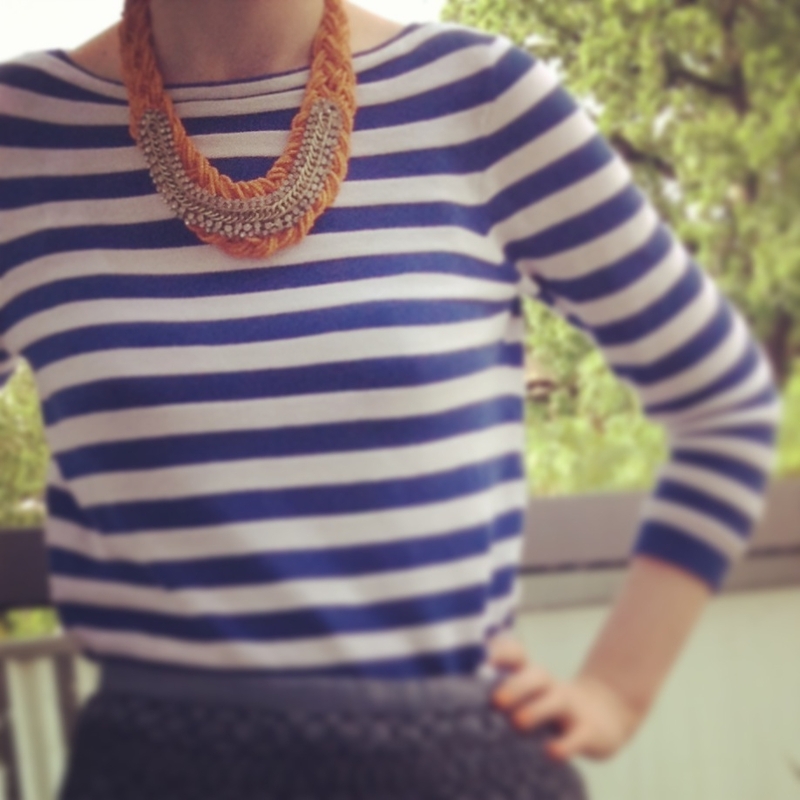 The pop of color in the necklace was a nice detail and kept the outfit interesting. 2) I kept the look more conservative for work with the summer sweater and flats. 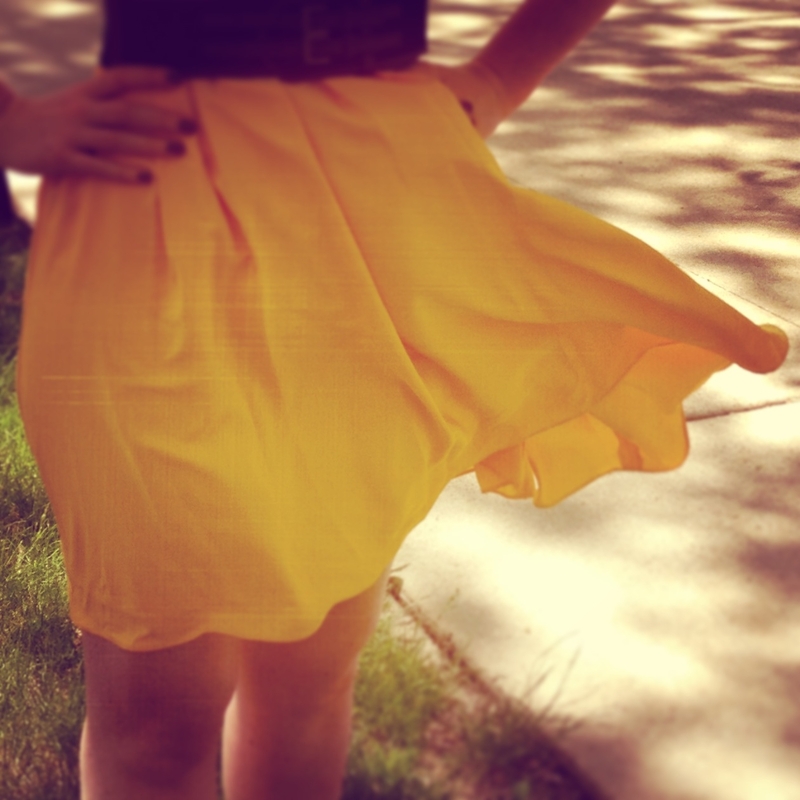 With heels and a tank top, this skirt could easily make for a great weekend look. And, pairing consignment with a new sweater kept everything fresh. A side note, my nautical nails ended up matching with the monochromatic theme! Happy Memorial Day weekend, readers! Sunday is much more of a funday when we have a long weekend! A long weekend means a relaxed Sunday dinner out! Still cold and rainy, my boots made their third appearance this week, though tonight I added my jean jacket and lace dress. I last wore this dress to work with a cardigan and heels. You can see the look here. Adding a belt, boots, and a jean jacket kept the outfit a bit funkier for a dinner out, while still being casual and comfortable. Much like my boots, the black and brown belt has also been getting a lot of usage lately! 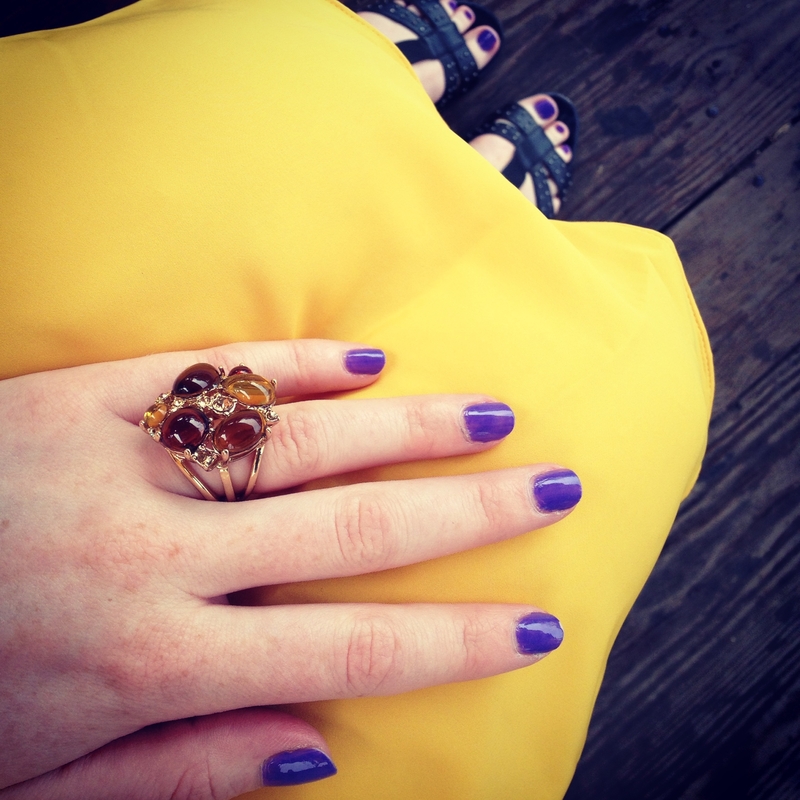 1) I am always glad to mix and match pieces to get more wear out of them. 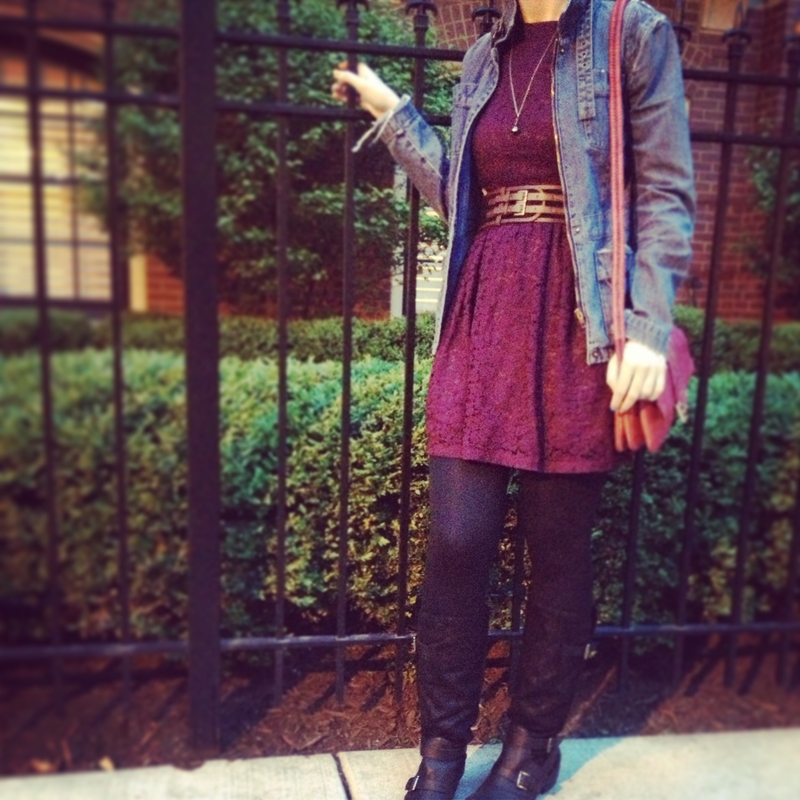 In this outfit, I added boots, a belt, and a jean jacket to take this dress from work to dinner. 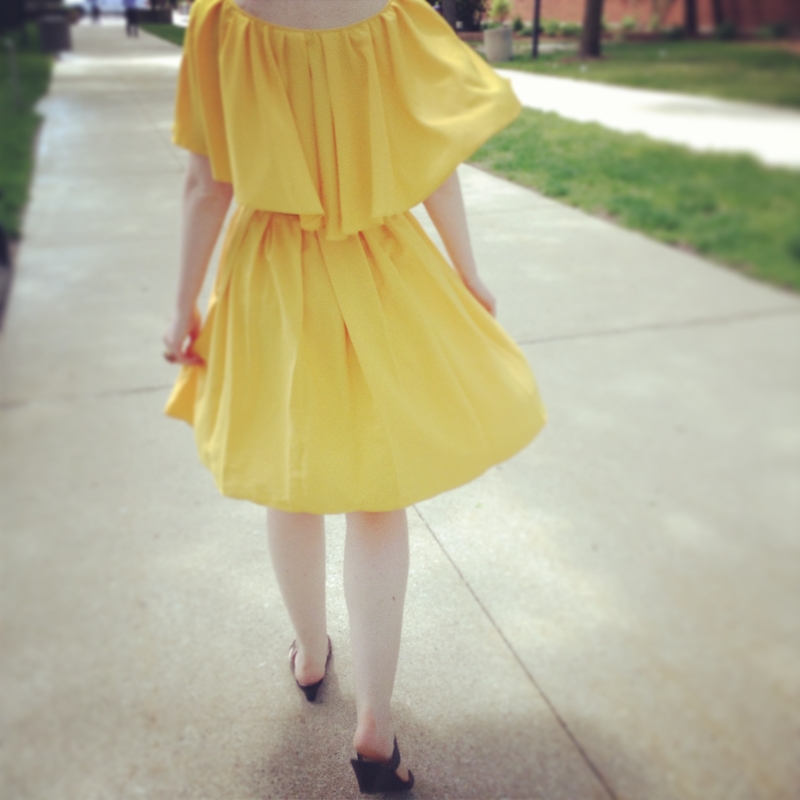 I still have my fingers crossed that it will warm up enough so that I can wear this dress with sandals! 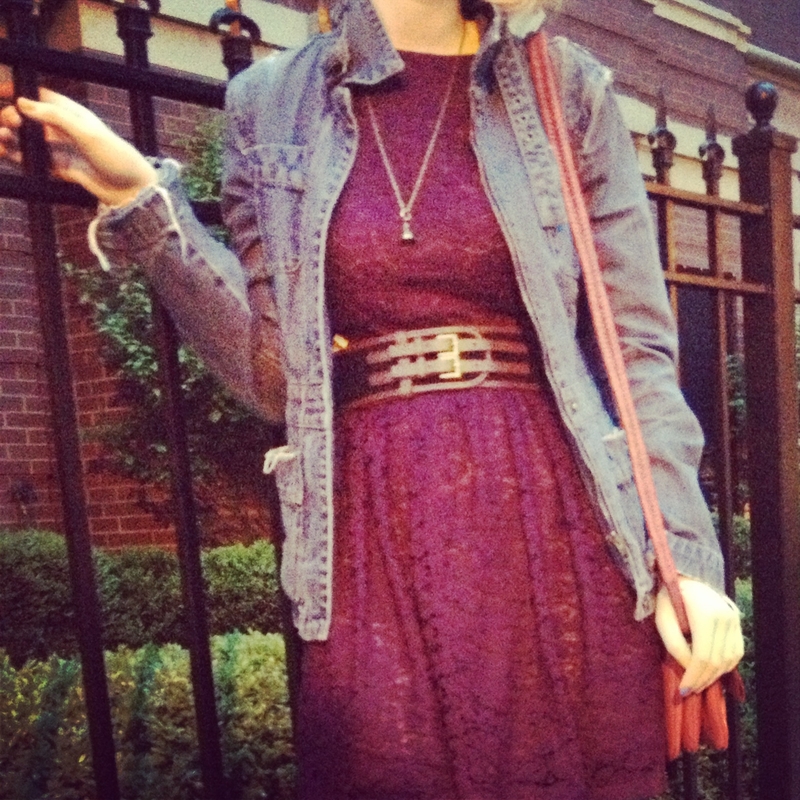 Try adding a belt or different jewelry to change up a dress. I often try on a few belts or necklaces that I already own before I settle on something. You never know what pieces will look like together until you try them on! 2) I like to do high/low mixes of pieces. 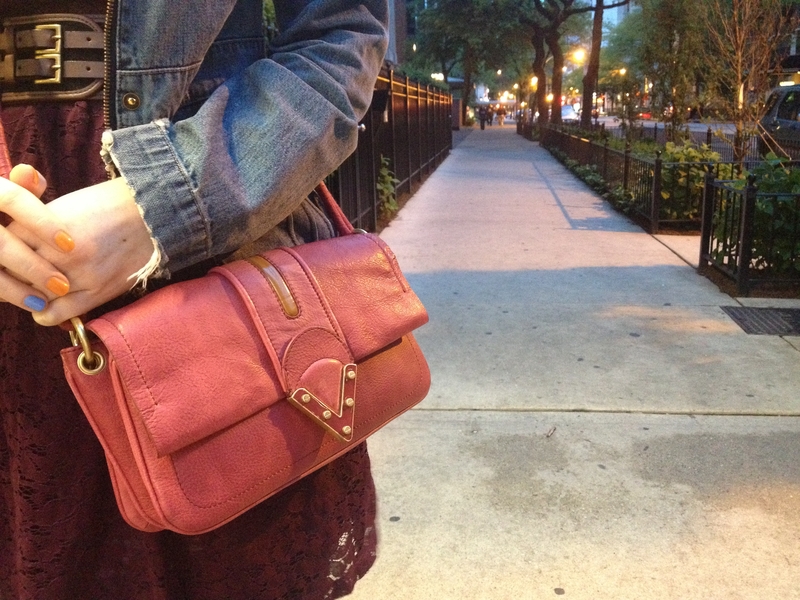 The purse is the highest end part of the outfit, and I think it takes the whole ensemble to a higher level. 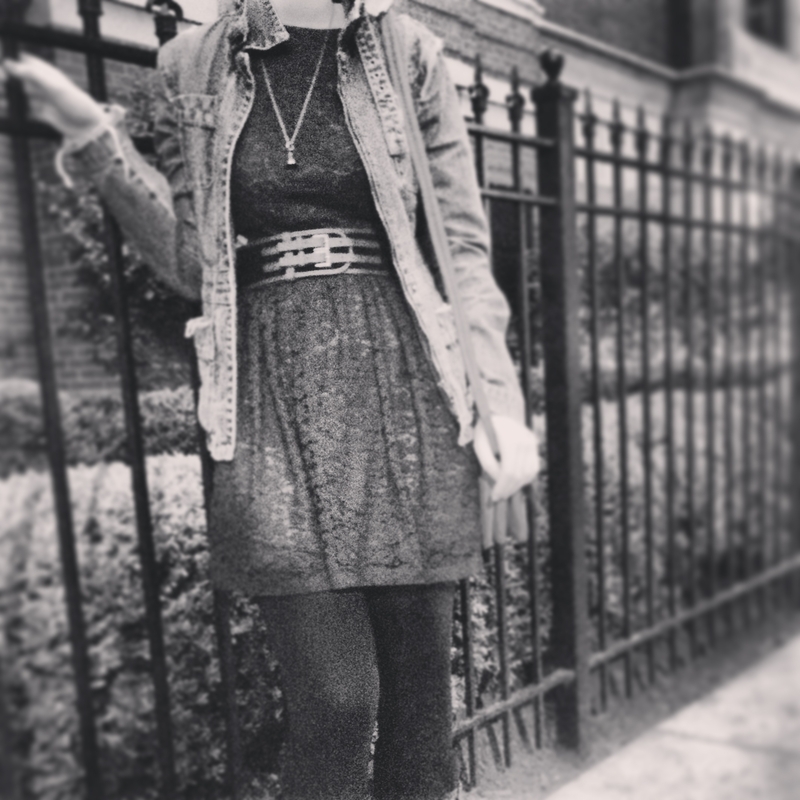 The mix of lace, denim, leather, and metal keeps this outfit visually interesting. Seeing as how sweatpants are not an option for work (sigh), I decided to go back to dresses and tights. Yes, tights with zippers! Funky and fun and still work appropriate. And ta da! I didn’t even resort to sweatpants after all! 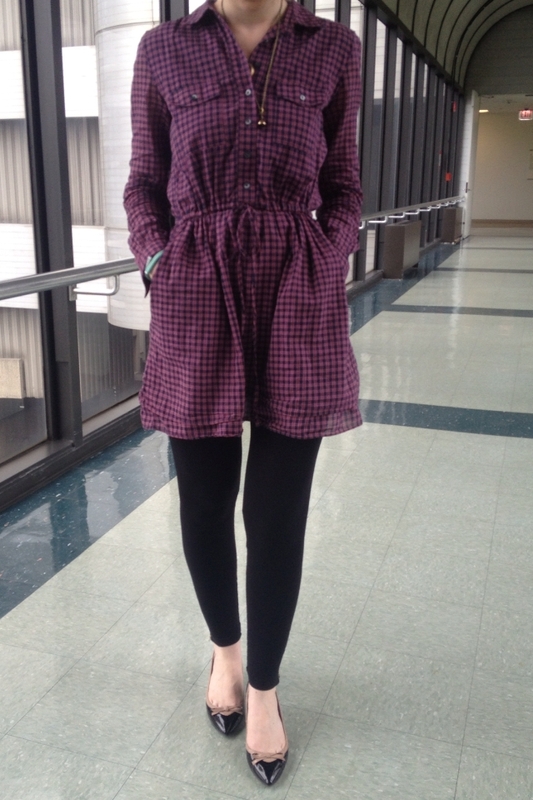 1) Rainy and cold weather calls for pajamas. But if that’s not an option, I like to wear dresses with thick tights or leggings. Many dresses can be worn year round if you just change out the accessories. This dress could be worn in warmer weather without tights and with the sleeves rolled up. When it’s really cold, I wear this dress with fleece lined tights (amazingly comfortable and almost like pajamas), knee high boots and a cardigan. You guys know how I feel about getting as much use as possible from clothes by wearing them all year round! 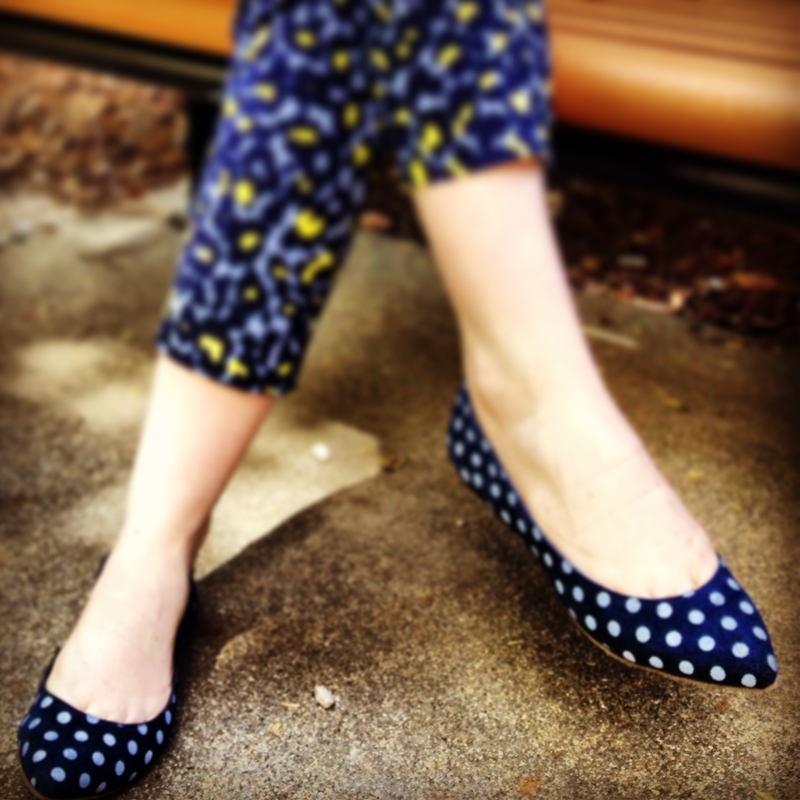 2) Similar to my first tip, changing out shoes helps your outfit go from work to weekend. 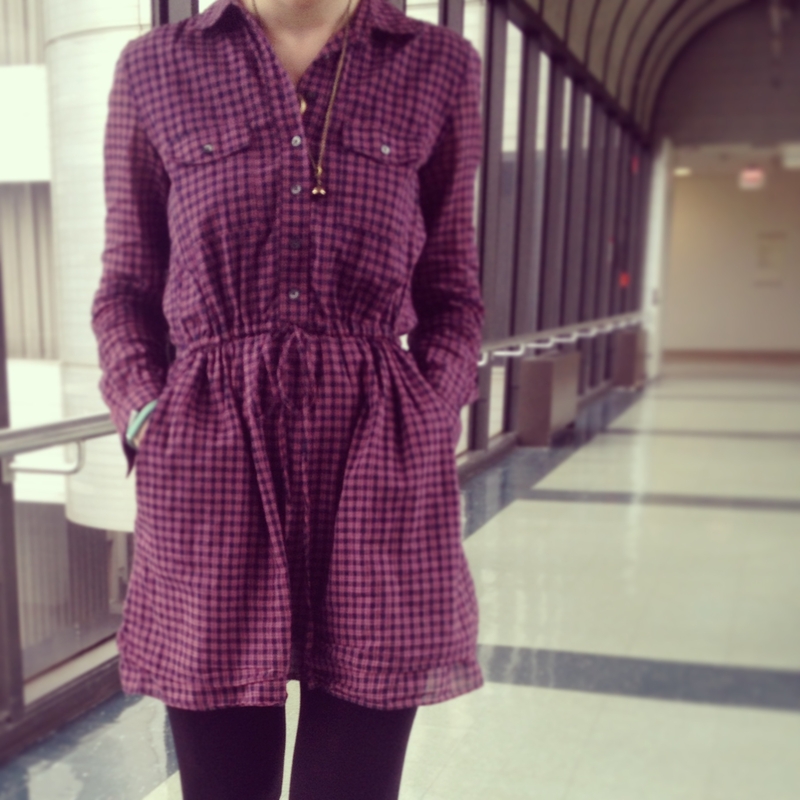 I wear this dress during the day on weekends with flats and a jean jacket for a laidback look. For work, dressy heels keeps it formal. The tag was still attached to this dress! What?! Love it! I added a belt for both interest and shape, as the dress was a little loose in the waist. This dress has a cool retro feel to it. With so much fabric and pleats on the dress, I kept my accessories very simple. So, I accessorized with a pair of black sandals by Calvin Klein, a belt from Urban Outfitters and a ring from Banana Republic. 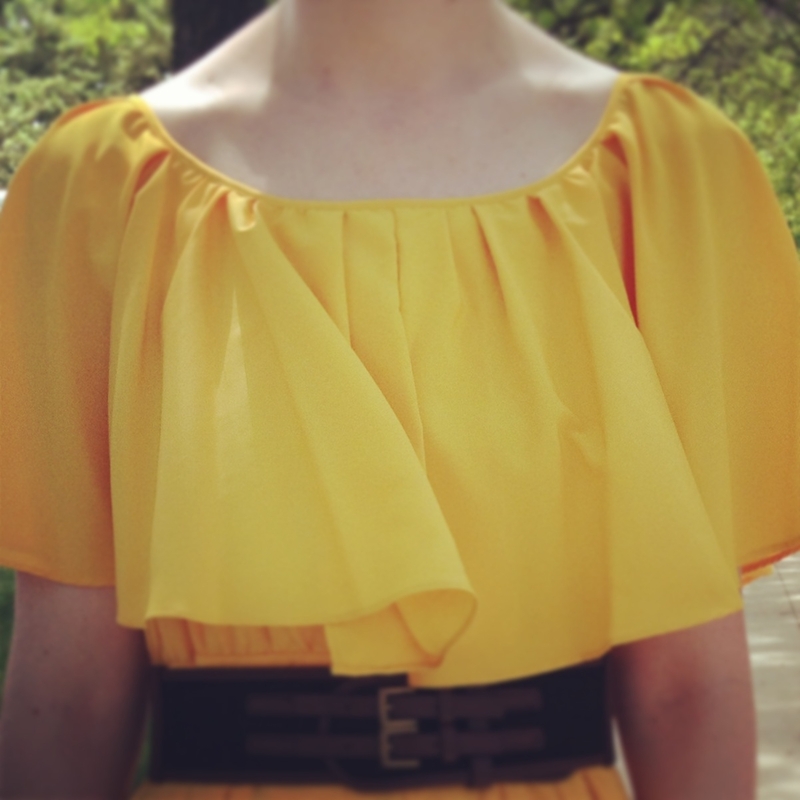 1) On a dress with a lot of fabric details, keep your accessories simple. This dress really speaks for itself without adding too much to it. This was a great consignment find; I do not think I would have been able to find this in a retail store marked down so significantly…but never say never. 2) This would be a great dress to make super dressy for a night outside of work. To dress it up, you could add big chunky heels or stilettos and a clutch. For work, I kept it low key with a low heeled sandal. If you cannot wear open toed shoes at work, try a kitten heel or a black flat with the dress. Well, readers, I decided it was time to expand my fashion horizons and start touring some local consignment stores. The store was very spacious, airy, clean, and the clothes were in excellent condition. 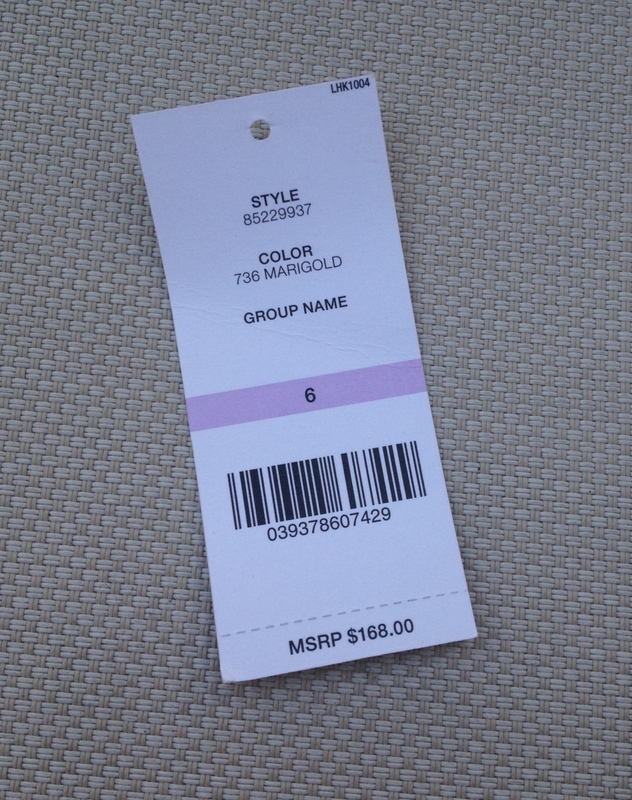 In fact, some of the clothes still had tags on them (i.e. never worn). 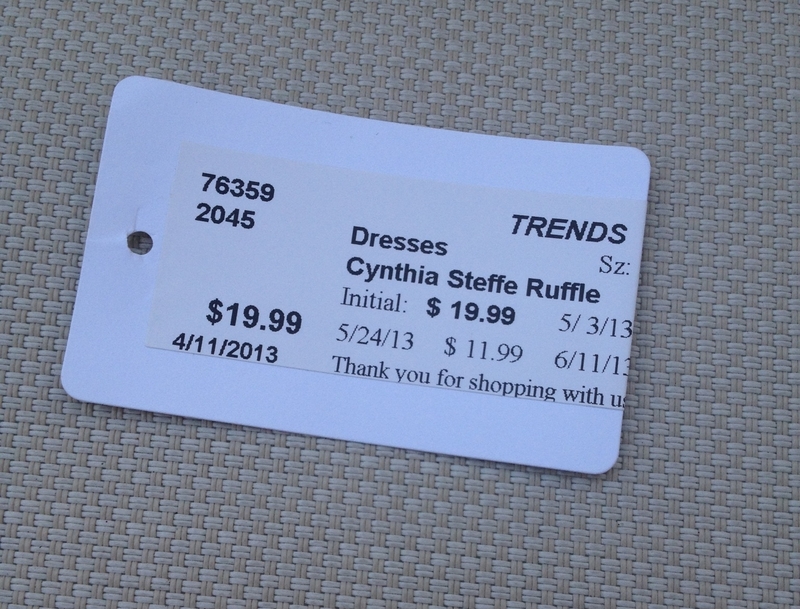 Side note: I definitely did not pay $168- this was the tag from when the dress was on sale in a retail store! Stay tuned to see the dress in my next posting! A ‘designer section’ had brands such as Burberry, Prada, Hermes, and Kate Spade. Umm, yes please. Even the designer section was well priced, with most pieces around $50 or less. When I asked about how they decide on what clothes they will accept, the salesperson let me know that they accepted clothing from stores such as Ann Taylor and up. 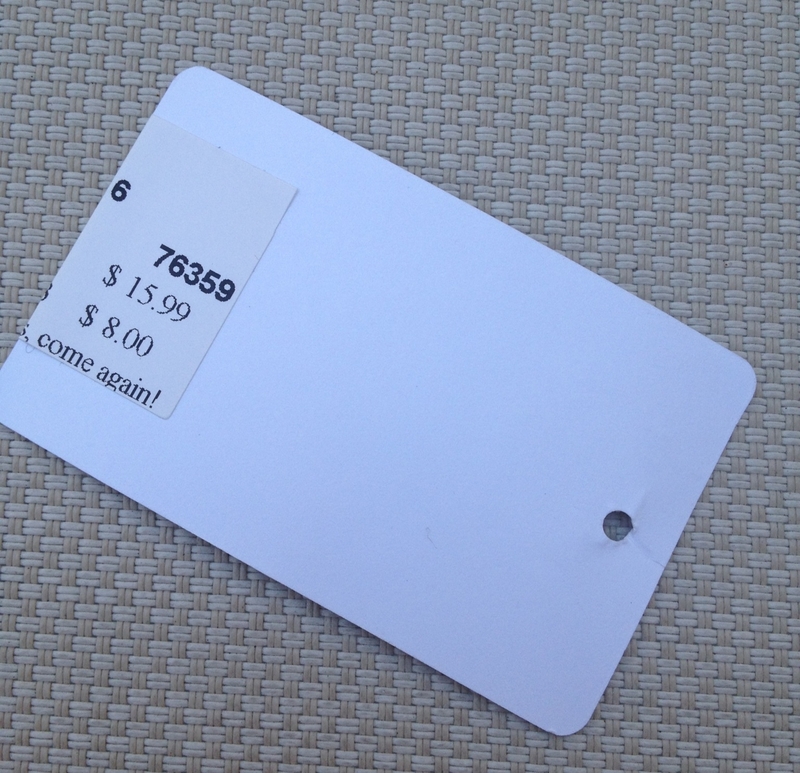 Even in the non-designer section, there were skirts and dresses that had prices of $200+ in retail stores. Most of the dresses and skirts were around $20 or less and the prices went down dependent upon how long the piece had been in the store. I have to tell you, I was totally into it. I am so glad I tried something new! My sister wants to tell you, readers, that this is not for everyone. I get it, especially after the first shop I went into that made me want to run in the opposite direction. When I did an informal poll among friends, the consensus was generally that it is a good way to get affordable high-quality couture. However, do some research of your own and then decide! 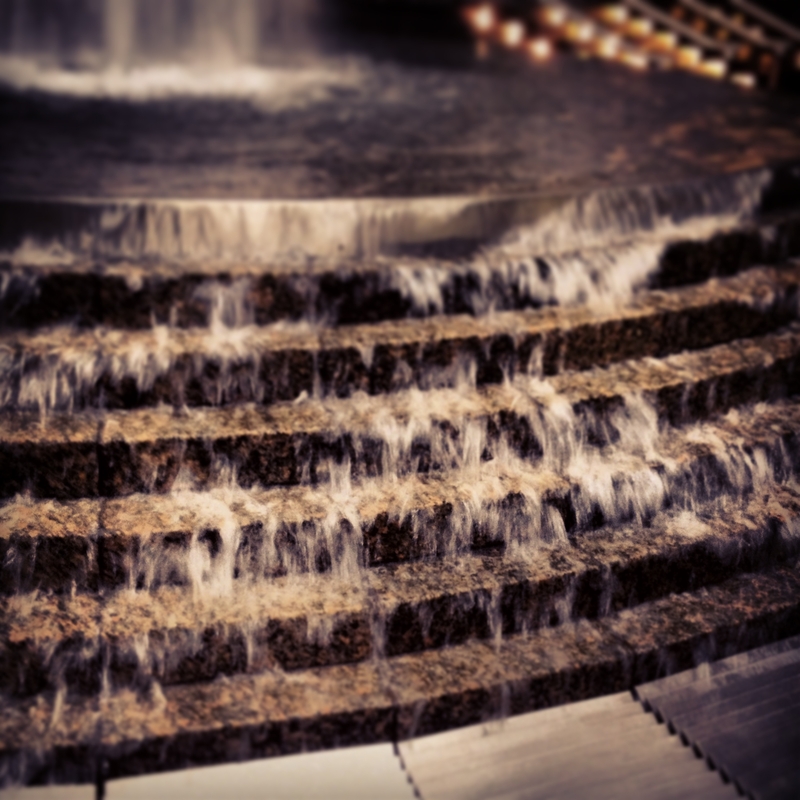 The most important thing is to have fun (cheesy…but true)! Check back for full posts of the pieces! Consigning could be a good way to get more bang for your buck by getting rid of anything you do not wear anymore; let someone else enjoy it and then you can find something else for yourself! 2) I used yelp.com to research stores in my area before I visited them. I highly recommend reading some reviews of local stores before visiting. I went into one consignment store that I did not see on yelp, and was unpleasantly surprised to find a cramped space of outdated clothes…none of which seemed particularly clean or in good condition. Ick! All in the name of research though! It did not take me long to incorporate my ladybug dress at work! 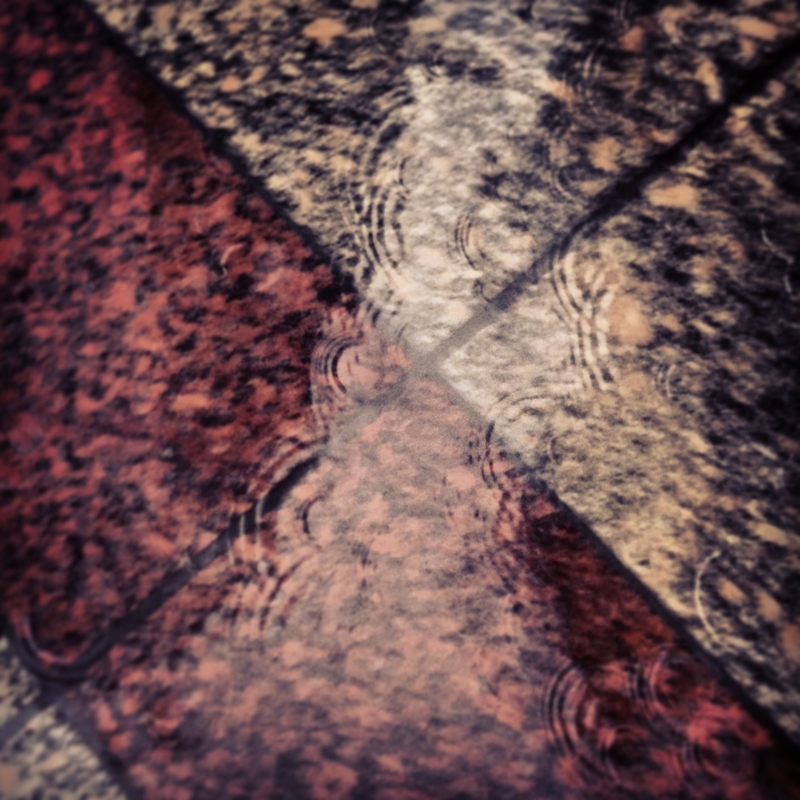 Though it’s “spring” here, it is still cool in the mornings. 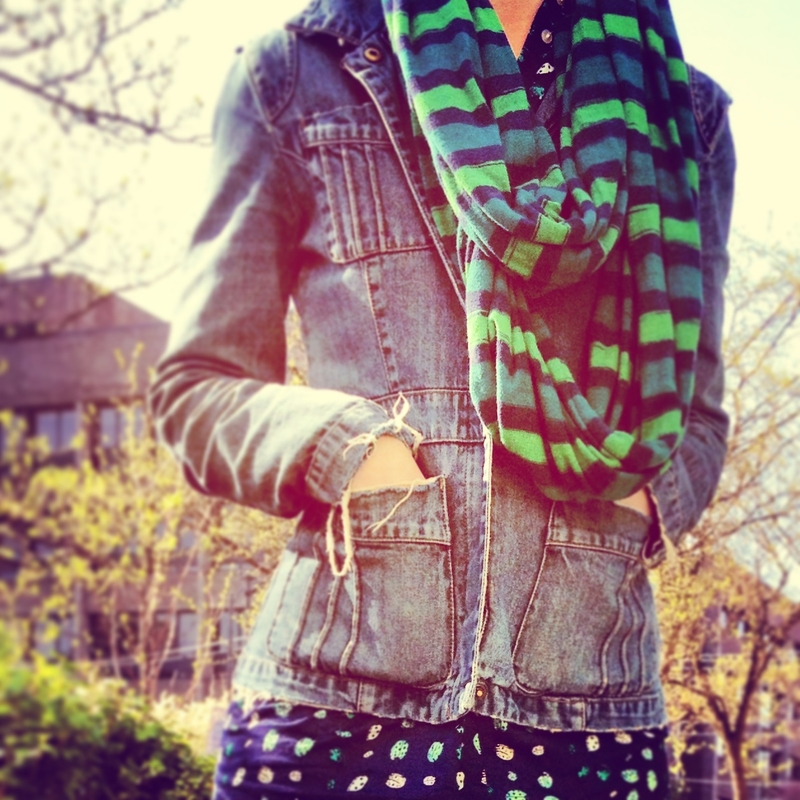 Thus, I paired my dress with a jean jacket from DKNY and a Gap infinity scarf. But back to the dress. It was, as anticipated, sack-like without a belt. 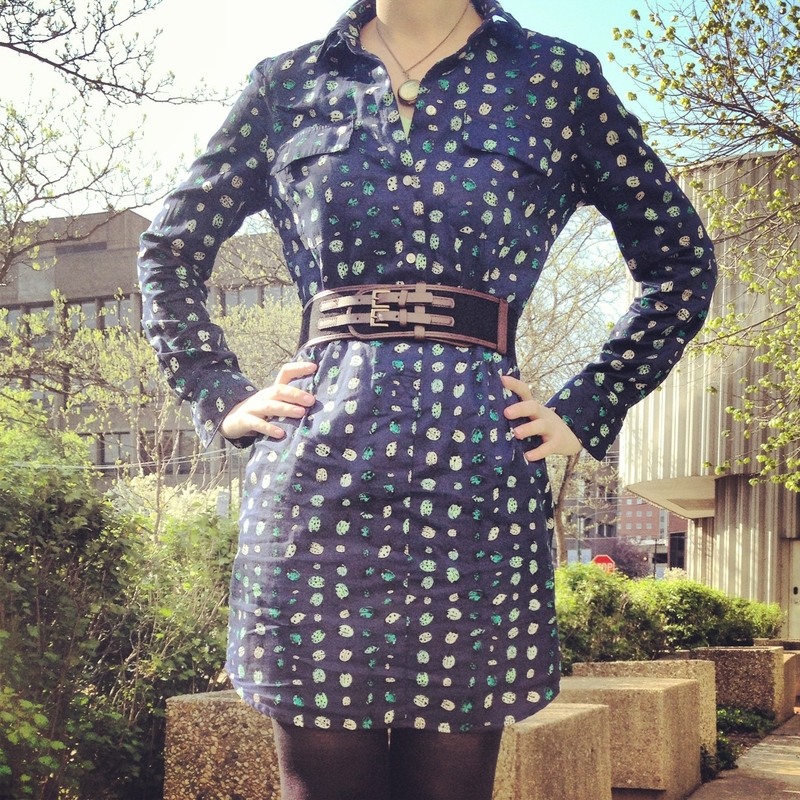 With a belt, this dress was back in action. 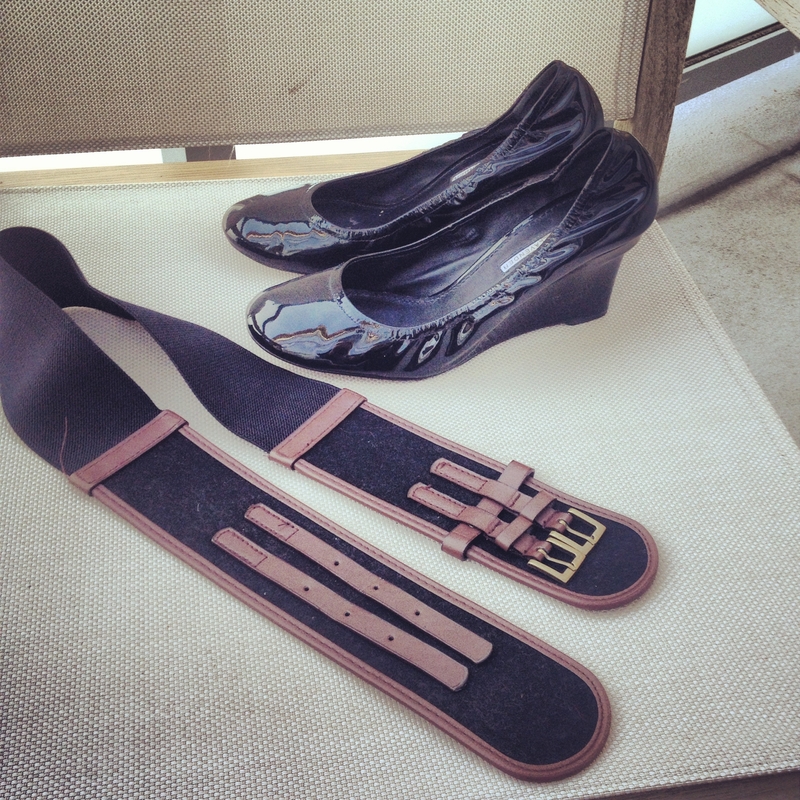 The belt and patent wedges make the look formal enough for work, while still having a casual print. 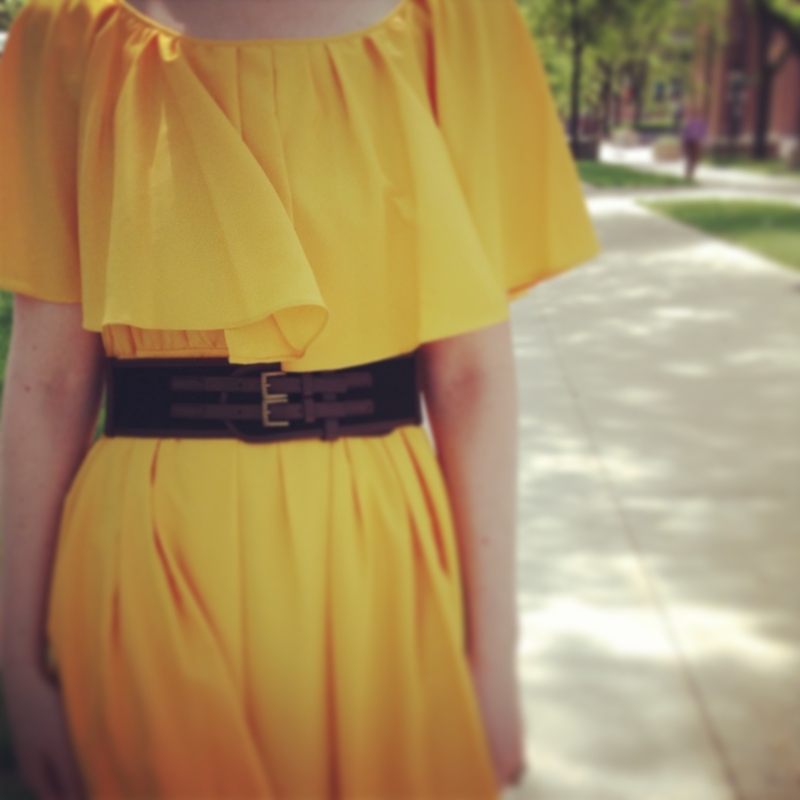 1) With dresses that have a boxy shape, consider adding a belt to create a more flattering shape and interest. 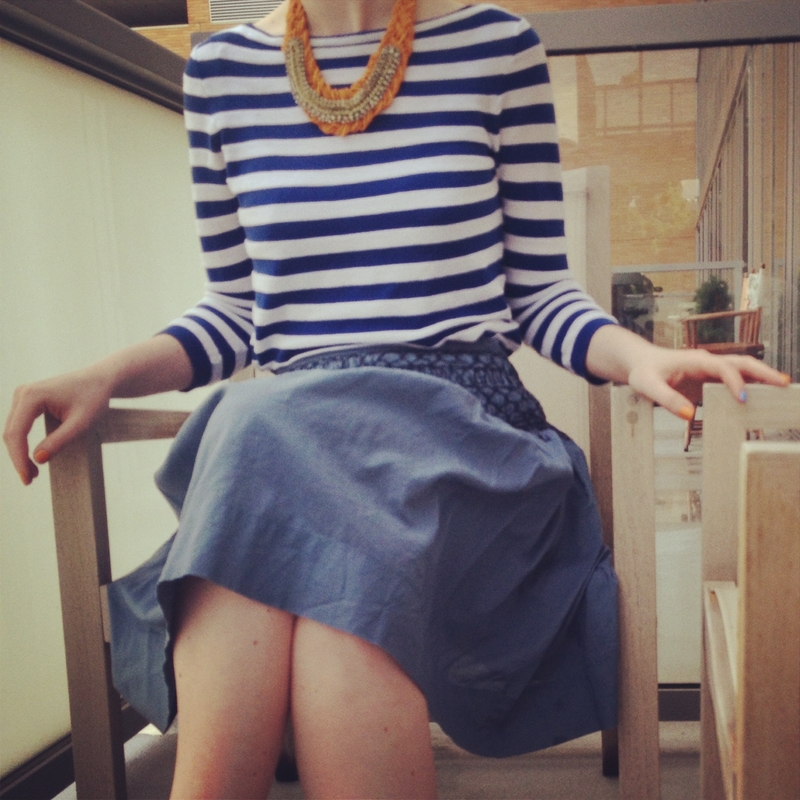 Keep one belt around your house that is neutral to help ‘shape up’ dresses that need it. 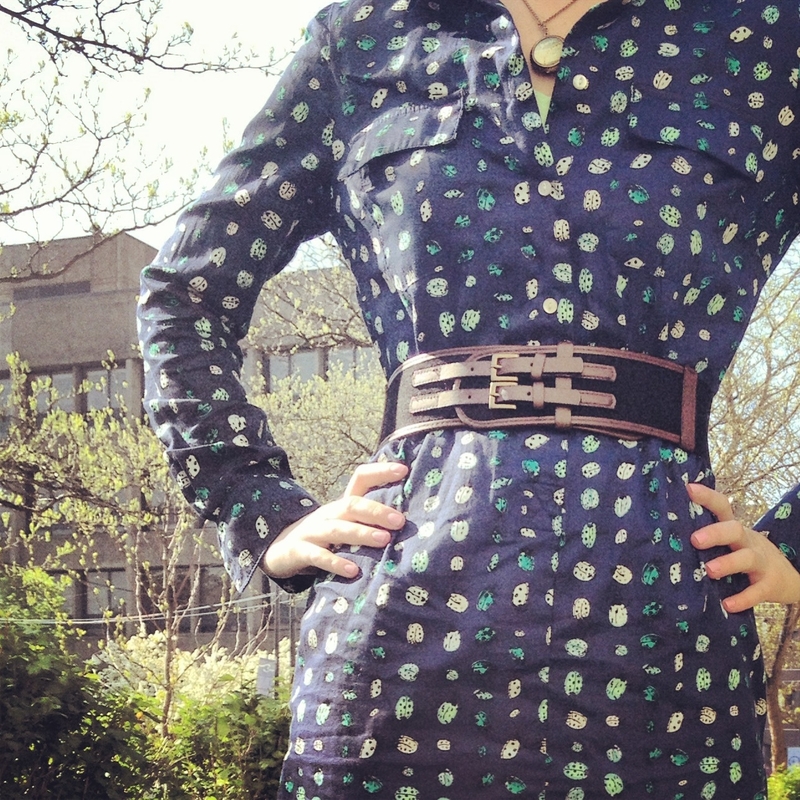 The belt I used is brown and black, so it is easily paired with different colored dresses. I wear this belt all the time and save on alterations! 2) Make clothes work for you! This would be a great dress to “dress down” with sandals and bare legs-outside of work. I like to buy pieces that can go from day to night and work to weekends; this allows you to save money and have your wardrobe do double duty for you. The mixed prints and colors that I have been seeing in catalogs and stores really inspired me this season! I decided it was definitely time to try out mixed prints for myself. For my first time at print-a-palooza (okay…work), I chose two different prints but in the same color family. Side note: I think this ensemble also answers the age-old question of whether animal print pants are acceptable at work. Does anyone else besides me think that this is an age-old question? Regardless, the answer, to me, is yes! 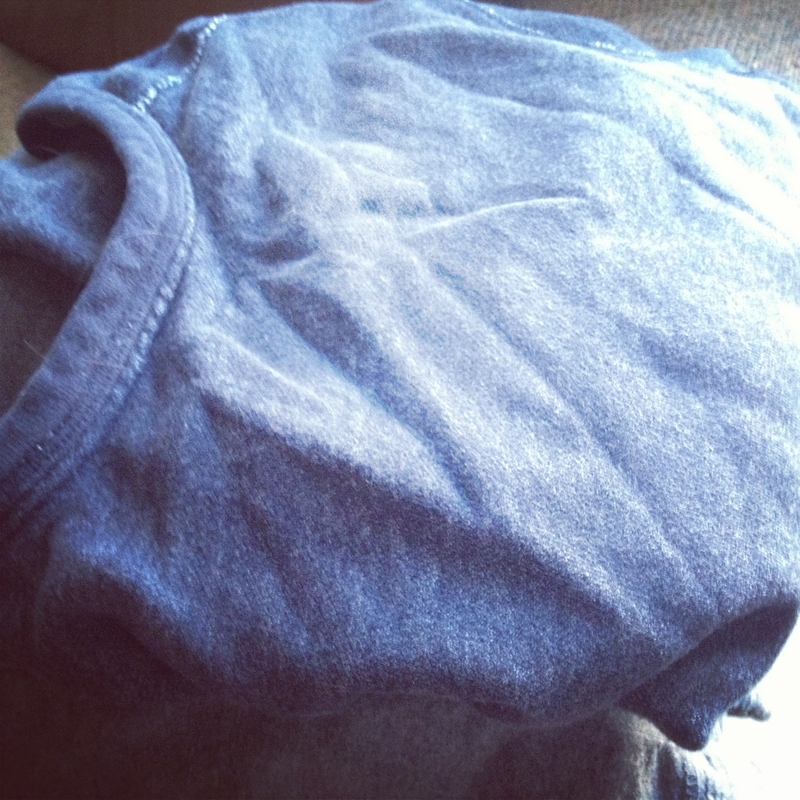 The pants pictured here are dress pants (labeled as ‘premium pants’). 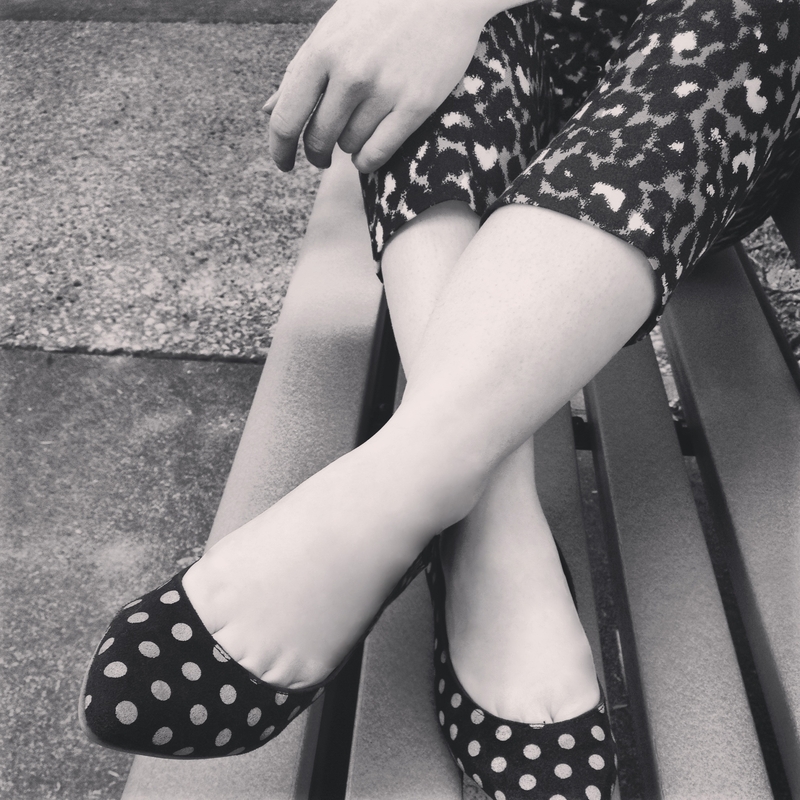 The work-appropriateness of animal print pants will vary dependent upon material, color, and fit. Anyway, back to print-a-palooza (I cannot say it enough)! The top I wore was the same shade of navy blue as the pants and shoes; however, it had some lime embellishment along the top. I guess, in the end, it was a little bit of a color-palooza too. Party fun times in the office, you guys. Try it out! 1) By now, I think you know that I love shopping sales within sales! All three pieces were from sales within sales, though I actually got them at different times throughout the season. 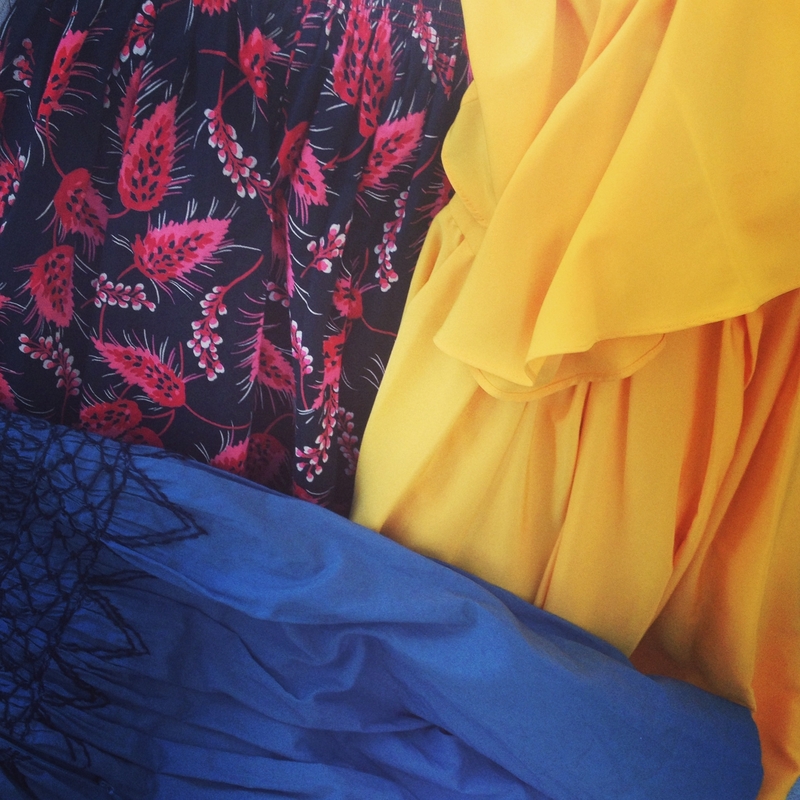 The easiest way to mix and match is to look for pieces in the same color family. 2) Mixing prints was so much easier than I thought it would be! Getting everything at the same store ensured that the colors matched. If you are just starting to mix patterns, you can keep it simple by doing a ‘one-stop shop.’ Next time, I am going to try to mix from other stores in hopes of finding even better deals.